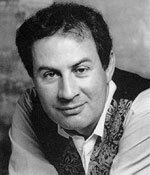 James Bowman has made over 130 recordings with all the major record labels and with such directors as Harnoncourt, Leonhardt, Hogwood, Pinnock and Frans Brüggen. His recorded repertoire covers not only the usual Baroque works but also embraces such works as Orff's Carmina Burana, Jacques Loussier's Lumières and Britten's A Midsummer Night's Dream, a work with which he has a particularly long association. Many of his most recent recordings have been for Hyperion in collaboration with The King's Consort.